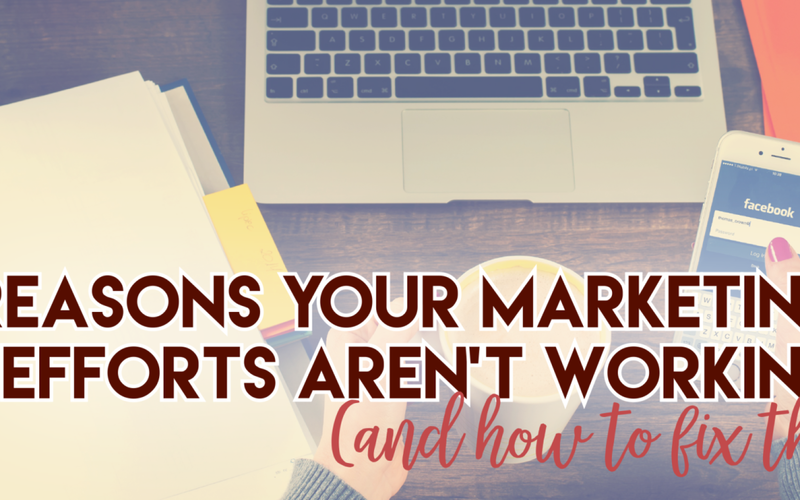 Are you working tirelessly on your marketing strategy and not seeing the results you want? Let me tell you, you are not alone. I’ve definitely been there. Fortunately, over the course of running my business, I have learned some of the reasons marketing efforts don’t work the way you want them to. Here are my words of advice on how to fix your marketing strategy and see real results. Customers come to me often explaining they are posting on social media all the time, but still not getting traction. You might be posting products for sale on Facebook and Instagram multiple times a day. You might even feel like you are posting too much. If you feel this way, I want to reassure you that you most likely are not posting enough. The reason you think you are over posting is because you look at your own business’s Instagram and Facebook pages all the time and you think everybody is doing the same, seeing every single post you make. Think about how many people like your Facebook page. We’ll hypothetically say it’s 5,000 people. Only a small percentage, perhaps 500, actually see every post, and they are likely making an effort to do so. Studies have shown that someone has to see your posts 20 times or more before they are willing to purchase anything. So if only 500 out of 5,000 people see your posts and it takes a customer 20 times before they pull the trigger, how many times do you actually need to post about something in order to get traction? The answer is: a lot. Yes, you are going to repel some people. But these are not your ideal customers and that is a very important detail to remember. Your ideal customer wants to see what you are posting. So don’t be afraid to scare some people off, because you’ll be attracting your ideal customer in the same process. KRose customers still come to me asking, “Do you have any free workshops or webinars coming up?” I feel like I constantly post about these. Even “lifers” of mine don’t always know all that KRose Marketing and Consulting has to offer. They might see some posts, open emails and check out our website, but they still don’t know when I will be hosting my next live training. I can’t be afraid to post about free workshops and webinars multiple times because out of the 20 times I post about it, only a few people are seeing and processing this information. They are scrolling through their feeds and might skim some of our posts or miss them completely. Even if they have seen and processed the information, a few reminders never hurt. It’s perfectly fine, in fact it’s necessary to post many times about your products and services. If you are working with a new product, have a new store, or are just starting your business, you might be wondering how you are going to obtain these testimonials in the first place. You can’t expect people to spontaneously write a testimonial for you. Reach out to friends who have worked with you, or give out free trial samples of your product to testers and ask them to write you a testimonial in return. We’ve talked a lot about this before, but many of you don’t know where to start and/or you aren’t consistently sending emails. There are two types of email marketing we use at KRose. 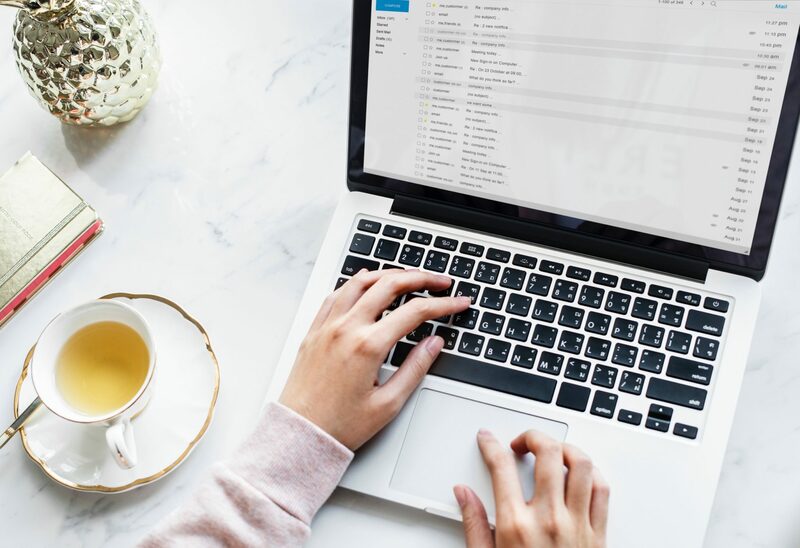 We do what is called a five email series, which I’ll talk more about at the end of the month in our free email sales funnel group that was offered to those who participated in the 21 day challenge. Anytime someone opts in to something of ours, we warm them up with five emails. We also use static campaigns. If you are on the KRose Marketing email list, you get an email every Tuesday and Thursday, consistently every week. Even if you aren’t opening and reading those emails, you still see my name in your inbox twice a week, which is priceless. It creates brand recognition. You know who I am because you see those emails. It is awesome to know, like and trust someone online. When people want to invest money with you, it is great if you can work with influencers in person. I recommend finding people in your zone of genius and get in-person with them. For example, I’m going to be a speaker at YALP, which is the Young Ag Leadership Conference in Montana. This is a great opportunity for us to “belly up” to some of the ag leaders in Montana and it’s ideal for my area of expertise. I know agriculture, leadership and marketing in agriculture. Being in person and answering questions will allow attendees to grow to know, like and trust me because I’m there at the event. But this opportunity didn’t just fall into my lap. We had to work to get me there. Don’t wait for these types of opportunities to find you. Seek them out because bellying up and getting in-person is crucial for success. I highly recommend Facebook ads, but with a disclaimer. Don’t try to drive cold traffic (people who have never heard of you) to your business and ask them to buy a high price point product from you. From a marketing standpoint, this doesn’t make sense and is an impractical method to use. You need to warm people up. First, get people on your email list and give them something free. Instead of trying to attract people who don’t know you to buy $200-400 products/services, try to introduce yourself and what you have to offer. Provide useful information before you try to sell. Then, when you do present your services and products, it is much easier for a person to want to invest money in you. I run into this issue with small business owners and entrepreneurs in general – me included. We come up with hundreds of ideas a day. Sometimes I’ll wake up with a great new idea for starting a new business or offering a new service. If you have the small business owner and entrepreneur mind like me, we’re probably in the same boat. Ideas flood to you all the time, which is great. It makes you unique and creative. But we can’t do a million things at once, even if all of the million ideas are golden, it’s impossible to accomplish them all. Find what works best for you and stick to it. You can’t start small fires all over and keep them constantly burning. Start a big bonfire, instead, and keep stoking it. Hone in on your area of genius and work at perfecting and improving it. If you are desperate to make money, you are not going to make money. I understand there are bills to pay. As a business owner, I write payroll checks every month. I understand the urge and the pressure to make money. But if you are only doing something to make money, you need to find an alternative route. People can see desperation. Your customers can tell if you are only in your business to make money. Signs of this include continually posting what you have for sale instead of giving or asking for feedback on social media. You might get upset and offended when “competitors” pop up in the market place. In reality, there is room for everyone. If you are in a desperate need of income, take a step back and ask what you are passionate about that can still help you make a living without being desperate. I talk about how you can live where you want and work for yourself on the Off-Farm Income Podcast. Income is a necessity, I get it. There are families to feed, but if you appear in despair, people want to look away. It makes them uncomfortable. If you go into an interview absolutely desperate for a job, you are going to interview differently than if you are not desperate. When you are marketing your products, do so like you are meant to be there with 100 percent confidence because that reflects in how your business operates. Running a business requires investment physically, mentally and financially. We know one of the most stressful parts of running a business is deciding what to invest in and with which companies. Check out Our Favorite Tools we can’t live without. We want to make this process as easy on you as possible. We believe in you and want to help you succeed. Like KRose Marketing on Facebook, it’s the place we come together to share our questions, provide answers, insight and tips, while supporting each other on our entrepreneurial journeys.